3. 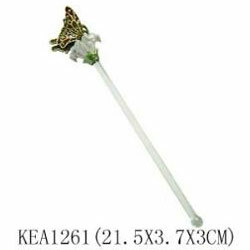 Wine stick can also be indispensable items for home, coffee house, tea house, field trip and holiday entertainment. 1. Size: 21.5 x 3.7 x 3cm. 2. Material: pewter/glass. 3. MOQ: 120 pcs/per item.